Many think “options trading” is a simple game- similar to playing a lottery. You either win or lose. Well, this is a sure path to losing your entire investment account. Aptly understanding the rudiments of how options trading works can be the difference between a successful and an unfortunate investor. Options expiration is one of the most widely misunderstood concepts, especially to newbies investors. Their ignorance sets them in for a lot of unfavorable surprises. To avoid any of such surprise, it is important to equip yourself with the fundamental training of how the whole system works. All options are limited in their lifespan, being defined by the expiration month. After expiration, the options contract becomes invalid and the exercising right of the contract is withdrawn. Normally, expiration occurs every third Friday of the month (or, the following morning). Expiration is anticipated when you want to sell an option, however, it is dreaded when you own one. One common mistake is for investors with a small account to forget selling their options before the expiration date. By making such a mistake, the option is automatically exercised. For example, if a trader owns five July 40 calls and fails to sell them before the due date, it expires and becomes worthless. The next thing is a margin call coming along with the newly owned stocks. The small account holder is cajoled into buying stock. Failing to pay for the stock (even with a 50% margin) will give him no choice but to sell. This actually benefits the broker but the fledgling investor loses a lot. In essence, NEVER FORGET TO SELL YOUR OPTIONS. An Assignment Notice is nothing to be Scared of. Being assigned an exercise notice on an option you sold is nothing to fear provided it doesn’t lead to a margin call. The option owner has the right to exercise an option before expiration. Writing a covered call even means you are guaranteed a maximum profit. Even though unskilled investor sees assignment notice as a threat, it is actually helpful from a risk-mitigation perspective. American style options and European style options have some basic differences that are worth knowing. This is because most index options you are likely to invest in are European style like SPX, NDX and RUT and also American style options like Others like SPY, QQQQ, and IWM. European options cease trading close of market on Thursday, compared to American Friday which closes on Friday. The final settlement price: This price determines which options are in the money. It is usually estimated on Friday morning but only accessible later in the afternoon. Riding along with the morning price can be a death trap, as they may be different from the actual price. Significant price disparity can result in anguish for options traders. European options settle in cash: Shares aren’t exchanged. Having a short option results in settlement price that is equivalent to the cash value removed from your account. On the other hand, owing the option means cash would be added to your account. Letting go can be difficult in a situation where you pay a reasonable premium for an option and the value erodes to half the price. Holding on can be too risky for little or no reward- especially if expiration is still far off. Do you still anticipate a rise in stock prices value? If not, why hold on? Never let buyer’s remorse affect your decision. Just cut your losses and sell out before the option value crumbles to zero. Better to have some few gains than none at all. Imagine that the stock price is currently 38 and you decide to buy 10 calls struck at 40, paying $0.50 a piece. Your prediction turns out to be correct and the stock price rises to $42 by the time expiration comes closer. If you decide to exercise your call, you are paying $40.50 per share when the stock is worth $42. You earn $1500 and you feel good about yourself, right? Well, the truth is that if you wanted stock, you should have just bought it for $38 per share. Broadly speaking, always try to avoid exercising your option. You can discard or sell it if you are no longer interested in having them. Short gamma comes with short options. It might be cool at first- you get paid nice rate of time decay to hold on to a short position. The hidden risk is that the stock may make a large move, enough to threaten to move into your money. 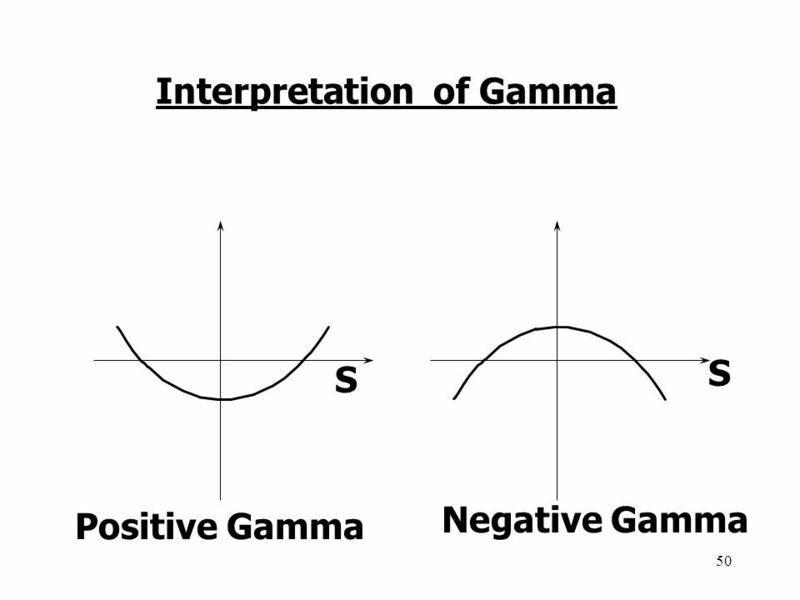 Negative gamma is the enemy; it makes you take a substantial risk for small reward. When this is the case, just take your large sized profits and leave the gamblers to bother with the crumbs.